"Life offers us the opportunity to become a Spiritual Warrior. A warrior is one who bravely goes into those dark areas within themselves to ferret out the Truth of their being. It takes great courage, stamina and endurance to become a Spiritual Warrior. They can only love, guide and be a living example of the Truth of their being." on Tuesday, July 10, 2007. Terry was born on August 22, 1954 in Garberville, California to Lewis and Donna (Lane) Sixkiller. Mr. Sixkiller later married Pat Sultzer on May 24, 1974. 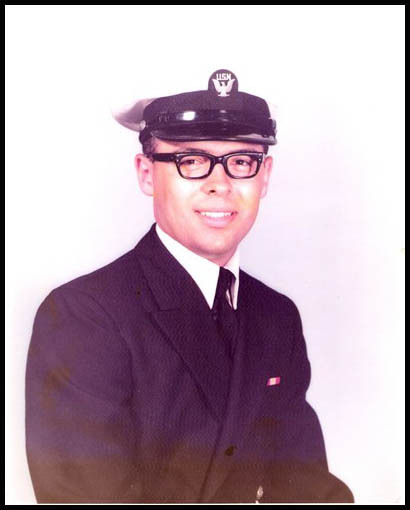 Terry was in the Military for seven years as a member of the United States Navy were he worked as an Electricians Mate on a Submarine. He worked for AMI in Dallas, TX and then worked for Department of Human Services for more than twenty years in Child Welfare. His most recent employment has been with the Seneca Cayuga Tribe as a Director of Intergovernmental Affairs; Terry also worked for Delaware County Rural Water Districts one and seven. He loved to hunt deer, and collect coins; he was a member of the American Legion, the Eucha Fire Department the Jay Industrial Board and the REC Roundup Club. Most of all Terry was proud of his children their wife's and grandchildren. Survivors include his wife Pat Sixkiller of the home, his father Lewis Sixkiller, two sons Tracy Lynn and his wife Melanie Ann Sixkiller, Jarrett Riley and his wife Lucinda Sixkiller all of Eucha, along with three grandchildren Colin, Kobe and Kyle Sixkiller. A brother David Lynn Sixkiller of Bella Vista, AR along with several Aunts, Uncles, Nieces, Nephews, Cousins Friends. Funeral Services were held at Delaware Baptist Church in Grove with Reverend Gary Bishop officiating. Interment location: Eucha Cemetery under the direction of the Worley-Luginbuel Funeral Home in Jay.